The Crew Dragon capsule has landed back on Earth after successfully docking at the International Space Station, where astronauts stepped onboard for the first time. Nasa says it's an important mission and could be a major step forward in space travel. The mission is a test for the American space agency and could mean regular trips to space for American astronauts. The capsule splashed down in the Atlantic Ocean at 1.45pm on 8 March, making history for space exploration. The Falcon 9 rocket and Crew Dragon capsule lifted off from the Kennedy Space Center on Saturday morning. This was a demonstration, and no astronauts were onboard. America stopped sending astronauts to space in 2011. Since then, they have been working with Russia - using their shuttles instead. If the mission continues to go well, Nasa could approve regular space trips for American astronauts, with missions starting later this year. Here's our everything you need to know. How did the mission play out? SpaceX's Crew Dragon capsule took off, attached to a rocket called Falcon 9. The spacecraft is designed to carry astronauts, but was unmanned on this test-flight. After reaching Earth's orbit, they separated with the Falcon 9 rocket returning to earth and landing. 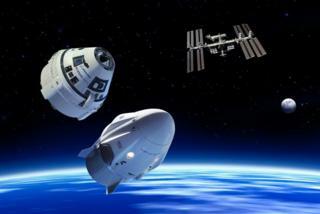 The Crew Dragon capsule then made it's way to the International Space Station (ISS) using onboard engines. The capsule arrived at the ISS just before 11am on Sunday morning. It used new technology to automatically attach itself with the ISS's dock. The Dragon approached the station from the front and used its sensors and computers to guide itself in. Astronauts onboard the ISS were monitoring the Crew Dragon capsule to make sure it arrived safely. Because this is just a demonstration, no astronauts were aboard. Instead, they sent a test dummy nicknamed 'Ripley'. It is dressed in a spacesuit and fitted with sensors around it's neck, head and spine. These sensors will gather data on the types of forces humans will face when they ride the spacecraft. This is to make sure it is safe for humans to travel using the rockets. The test dummy is not alone. It is joined by a zero gravity indicator in the form of an adorable cuddly toy, which is in the shape of the world. It is the size of a basketball and it's job is to send signals back to earth when the spacecraft begins to experience zero gravity. 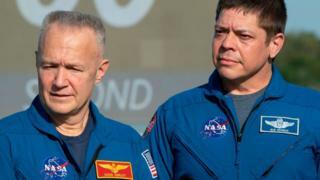 American astronauts Doug Hurley and Bob Behnken were watching the launch and will be taking part in a second test-flight later this year. It has been eight years since Doug Hurley flew the last American space shuttle mission. The second test-flight is scheduled to be happening in July, if the first test-flight runs smoothly. SpaceX are the company behind the launch. They are working with Nasa to reintroduce sending US astronauts into space. 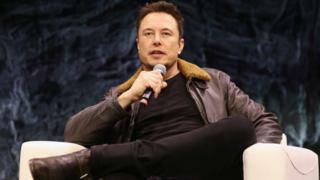 The company is owned by Elon Musk, who set it up with the intention of sending humans to places beyond Earth. This flight is another important step in SpaceX's mission. Space calendar 2019: What's happening this year?